Magazinzoo.com Reviews Holiday Apartments or Hotels – Which One to Choose? Holiday Apartments or Hotels – Which One to Choose? 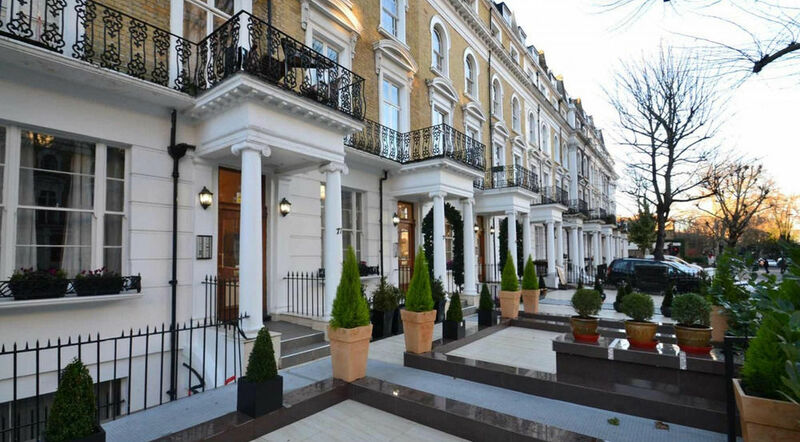 If you want to live like a Londoner and submerge yourself in the local culture then a holiday apartment could well be the perfect choice for you. Living in a local neighborhood, where you can meet your neighbours and sit in the window watching the world go by, is one of the best ways to really experience a new city. London is a city built on people, and one of the best ways to get to know Londoners is to live amongst them. London is also a city with very distinct different districts, and you’ll only fully understand them by living in them: it’s a wonderful way to make a meaningful cultural connection. Many people choose hotels because they place significant value on the amenities that hotels are able to offer: swimming pools, sports facilities and concierge services can all help to make your hotel stay pass much more smoothly. Whilst it is true that many luxury hotels do offer excellent facilities, if you choose a high end, premium rental service then you can achieve many of these same facilities too, and so much more. In a hotel you are restricted to just one room, whilst with a holiday rental you will have access to bedrooms, living rooms and a kitchen, ideal if you are travelling as a family and don’t like the idea of spending a week or more living on top of each other. You’re likely to find many more of your own home comforts in a holiday apartment than you are in a hotel. Having a kitchen available, for example, will make it much easier to satisfy your craving for a late-night snack. It also means that you can hit the local markets, indulge yourself and buy plenty of local produce, and cook up an authentic storm. Dining out is lots of fun, but nothing beats home cooking, especially if you’re staying in London for more than just a day or two. You can cook at your own pace, and at a schedule that suits you, and then enjoy a long and leisurely after dinner chat with you loved ones. Because you’re sleeping and eating in the same apartment, you can roll from the table and straight into bed whenever the mood takes you. The ability to cook your own meals is one of the main advantages of choosing to let a holiday apartment. This is especially true if you’re taking a break on a budget: cooking your own food is a much more affordable option than taking every meal in a pricey restaurantg. Most people find that a large chunk of their holiday budget is spend in bars and restaurants, but staying in your own apartment can help you to reduce this expenditure considerably. When you’re staying in a hotel you will have someone to clean your room each morning and turn down your bed each night. However, the flip side of this is that you’re not able to set your own schedule; you can’t lay in bed all morning, for example, if you know the cleaning crew will be coming in shortly to tidy your room. When you have your own apartment, however, you’ll be able to set your own schedule, no matter how odd, safe in the knowledge that no one will ever bother you. Of course, it does mean that you’ll have to change your own toilet roll, but you’ll have all of the space and freedom you need to really make the most of your break. Many families can be overwhelmed by small spaces, and if you have teenagers their unlikely to be impressed by sharing a hotel room with two beds. They’d much rather have their own bedroom, and their own space. If you’re travelling as part of a large group then an apartment is sure to be a much better idea than a series of cramped hotel rooms.